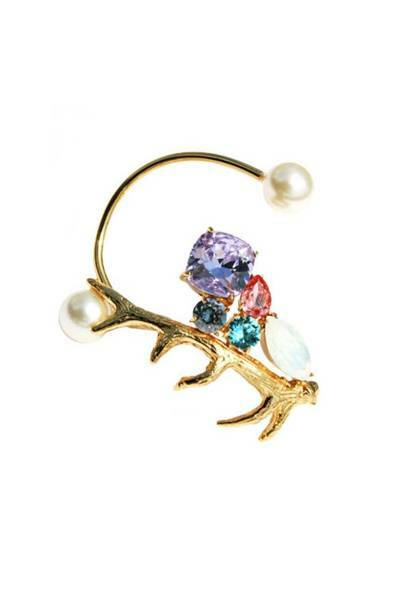 Ear cuffs, once a 90s jewellery staple are back, and more bling than ever. 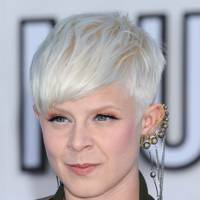 But which celebs are 'all ears' for the edgy accessory on the red carpet? 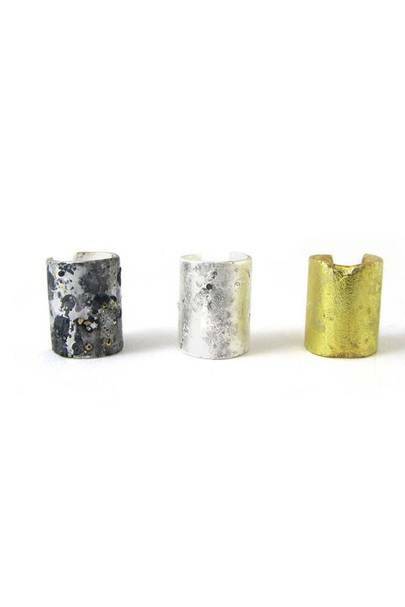 Get clicking for inspiration on how to work the jewellery trend. 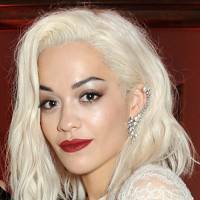 Rita Ora went all-out-bling for the BRITs 2015. 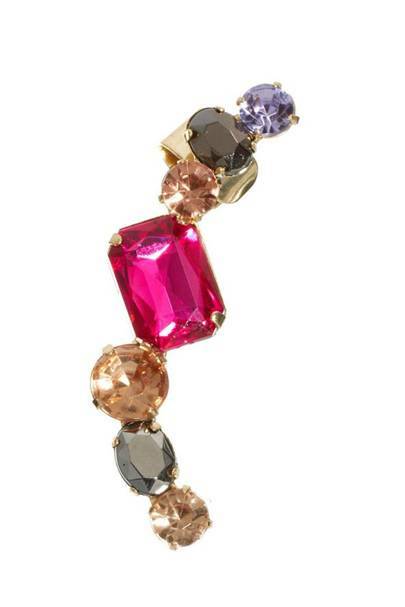 We love the fang shape of her matching diamand all-in-one Lorraine Schwartz cuffs. 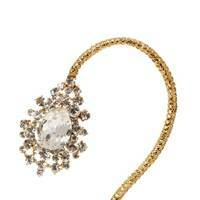 Ooo Karlie your diamante earcuffs are so dreamy. We love the way she's stacked 'em high too. 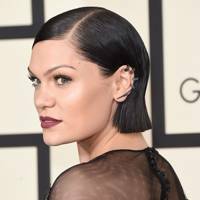 Proving that the ear cuff trend is still going strong, Jessie J topped off her chic lacy outfit at the 2015 GRAMMYs with a black diamond ear cuff. 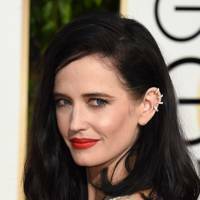 Keira gave her diaphanous Erdem gown a bit of edge with this beautiful diamond encrusted ear cuff at the SAG Awards 2015. 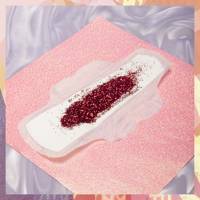 Never failing to absolutely nail it in the beauty department on the red carpet as well, it was that extra bit of bling that was the icing on the proverbial cake for this look. Another A-Lister to join the ear cuff ranks on the night, was Emma Stone. With her dramatic Dior Haute Couture dress one of the most show-stopping gowns of the evening, Emma's hot red lip and unusual cross detail ear cuff was the perfect sartorial bed fellow for such a frock. 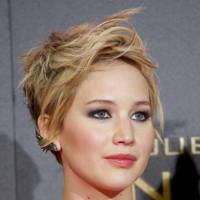 Proof that ear cuffs come in all different guises, Jennifer Lawrence opted for four identikit diamond-encrusted cuffs to add some edge to her Christian Dior Couture gown at The Hunger Games LA premiere in November. Emma has long been an advocate of bright lippy but with a dramatic all-black dress this canny beauty icon knew that a rich hot orange - and an ear cuff - would be the ideal accompaniment to her frock. In short, this is another win for Emma. Bravo! 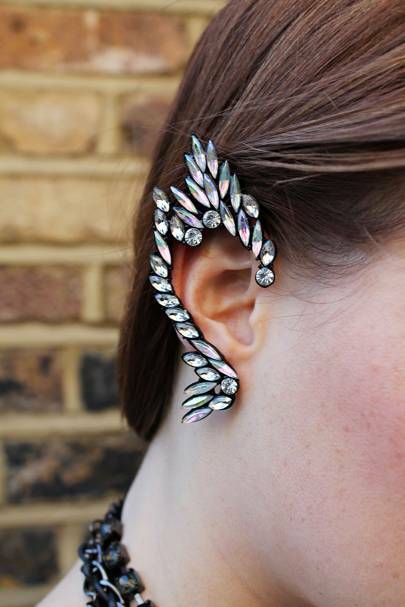 What better way to show off a new undercut hairstyle than with an ear-cuff. Natalie Dormer shows that the two, practically, go hand in hand. Proving that ear cuffs don't have to extend all the way up the ear to add some drama to your outfit, is Jennifer Connelly. 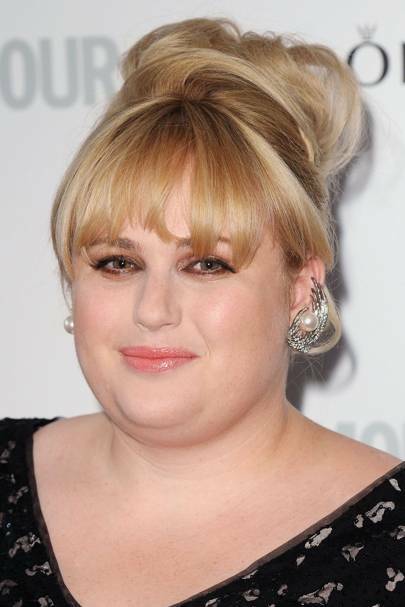 The Noah star gave her ornate Alexander McQueen gown some diamond bling in the form of this sharp, bejewelled ear cuff. 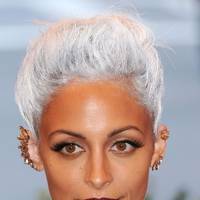 With a high neckline dress and beautiful side-swept, an ear cuff was the first port of call for actress Margot Robbie who rocked this studded version on the red carpet. 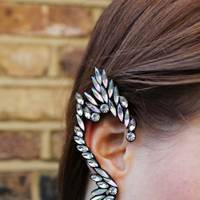 The most stylish MIC-er Rosie Fortescue brings us into the new year with a new accessory - this sparkly ear cuff by Adorning Ava. Click through for an up-close shot. 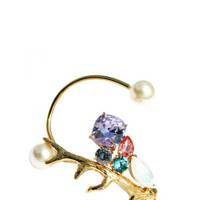 With every inch covered in gems, this ear cuff is a huge statement - so pair with simple, sporty-chic pieces like Rosie. 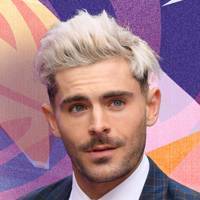 The best benefit of having a shorter ‘do? 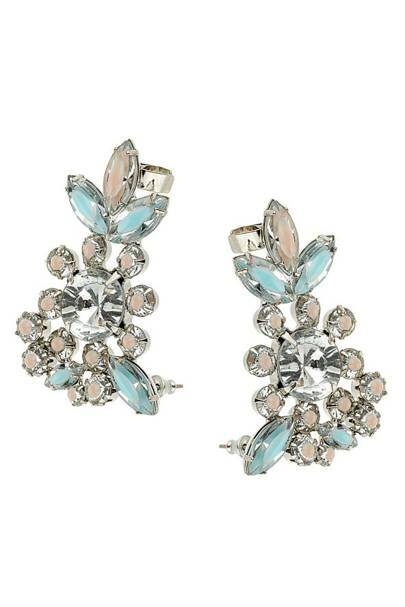 Statement earrings stand out even more. 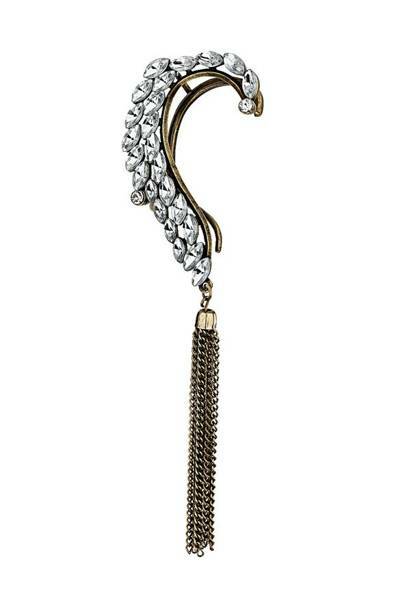 Jennifer Lawrence showed off her Ana Khouri black-diamond wing earcuff at the Hunger Games Madrid premiere. 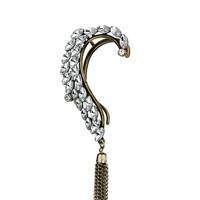 Fearne Cotton looked lovely with her pearl and crystal drop ear cuff at the GLAMOUR Awards. 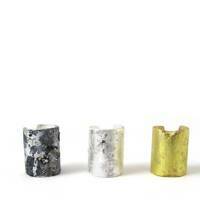 Rota Ora complements her new 'do with this cool cuff. 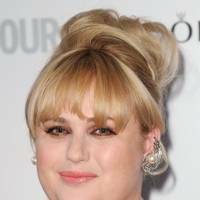 GLAMOUR cover girl Rebel Wilson also opted for an ear cuff on the night - we're loving this pearl one. Woah. 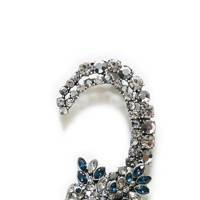 Ear cuff repeat offender Cara Delevingne opted for this bling version for the The Serpentine Gallery Summer Party. ...and here she is again. 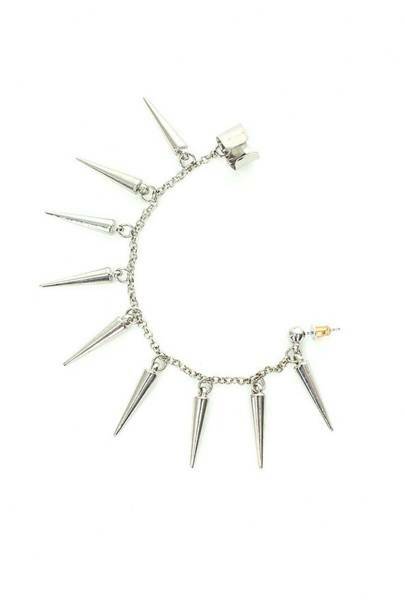 This time, at the Met Gala, sticking to the punk theme with double whammy of chunky cuffs. 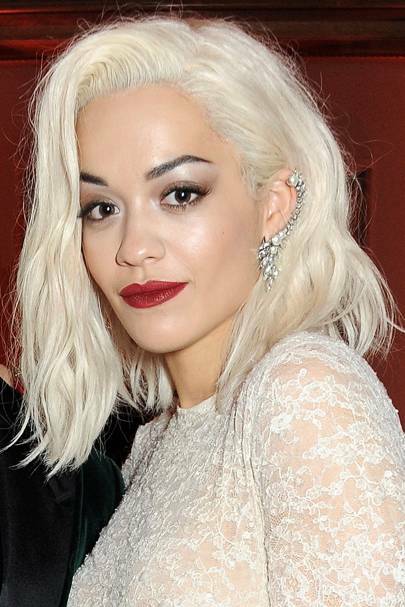 Of COURSE Cara's wifey Rita is in on the earcuff trend too - this diamond version mimics a row of pierced ears in a rather chic way. 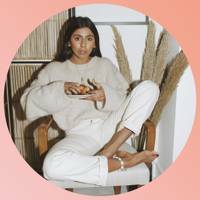 Sienna's triple-hoop cuff is super cool - we weren't sure about pairing it with a spiked hairband - but then it WAS the Met Gala, and everyone REALLY went berserk with the theme. 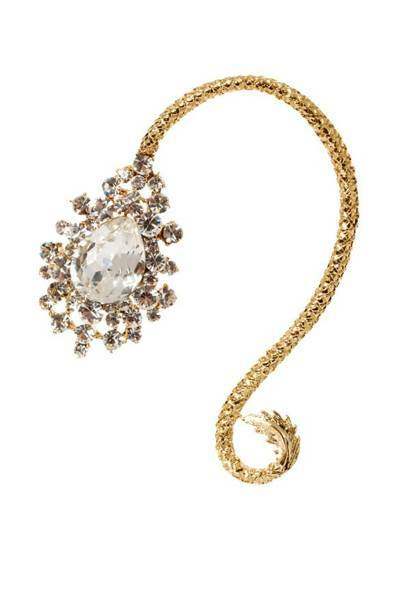 Emma Watson also picked the same hooped ear cuff for The Bling Ring premiere at Cannes - it added a welcome edge to the star's prim and proper look. 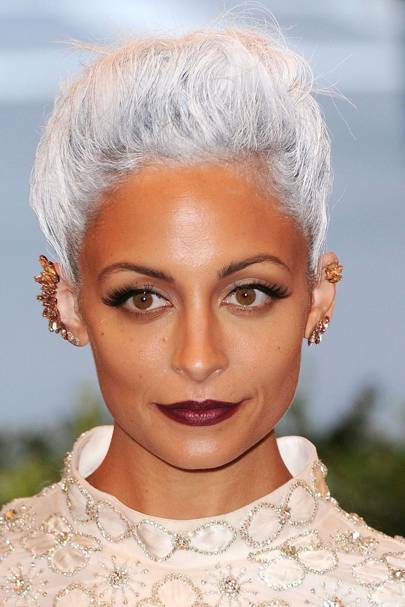 The Met Gala was an earcuff bonanza - and Nicole Richie's cool gold number was almost enough to distract from the tippex-hued hair. Aussie actress Bella Heathcote's bejewelled brooch is an elegant take on the ear cuff trend - and about as far away from those £2 beauties we bought back in the day as can be. 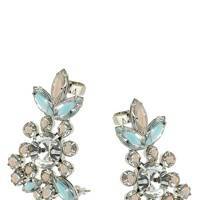 These Miss Selfridge gems will create the same effect as Bella's bejewelled leaves. 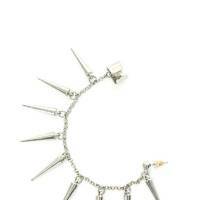 This statement cuff is equally bling. 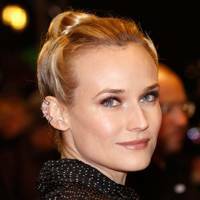 Why wear one ear cuff when you can wear two? 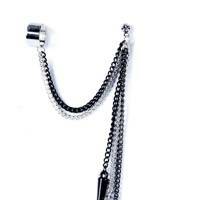 Because it looks a little bit like a hands free set for your phone, that's why. 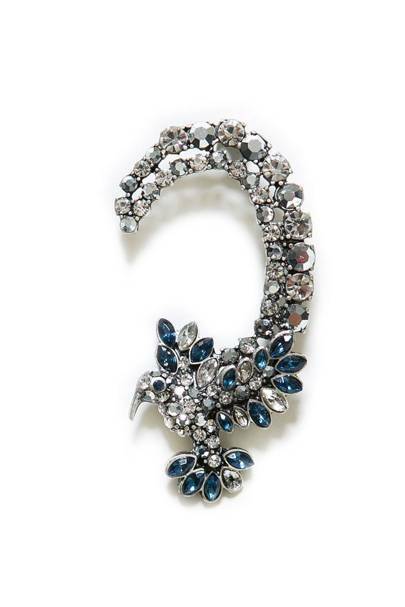 We'll let Jessica Alba off and blame the Met Gala punk theme madness for this odd Star Trek inspired ear candy. 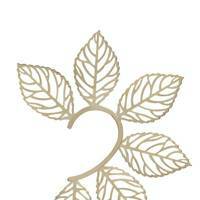 The ears of kooky K$sha actually look pretty elegant with this bronze bejewelled number. 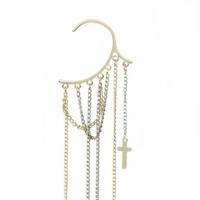 With multi hoops, balls and one long chain, Robyn's urban earcuff is only for the brave. 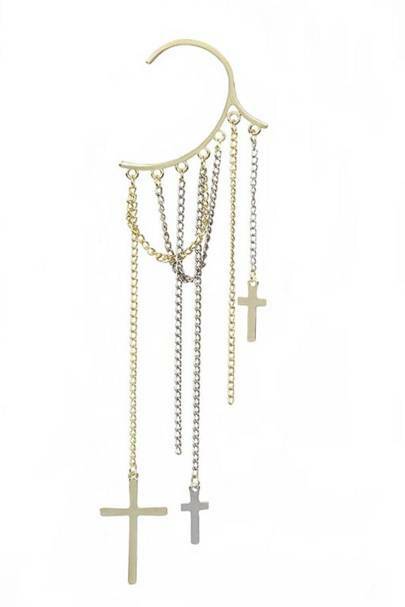 Channel Robyn's look in a more subtle fashion with this chandelier take on the ear cuff. 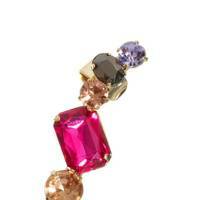 Yep, Claire's are still doing ear cuffs - the good news is they've got a bit chicer. 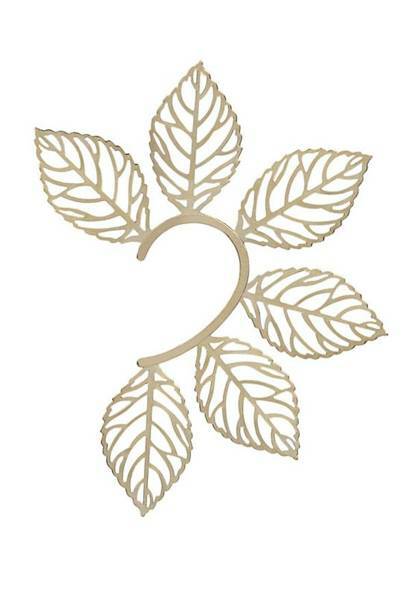 For a REALLY standout look - we'd recommend this leaf cuff from Dollface London. 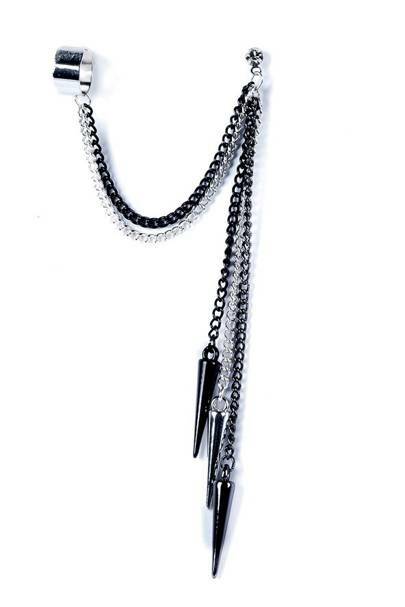 ...she then stepped out wearing this far blingier version at the Chanel Couture shows. 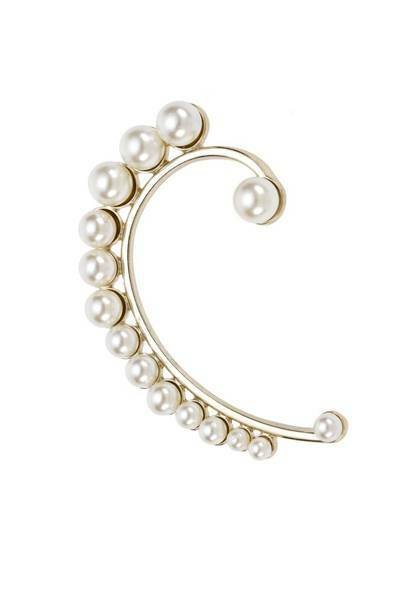 Diane's Repossi and Chanel cuffs will set you back thousands of pounds - we'll stick to this affordable pearl one from Oasis. 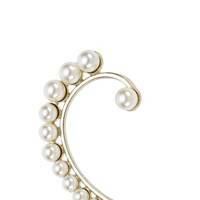 We reckon Ms Kruger would also love this pearl adorned number. ...a year later, Joan Smalls did the same. 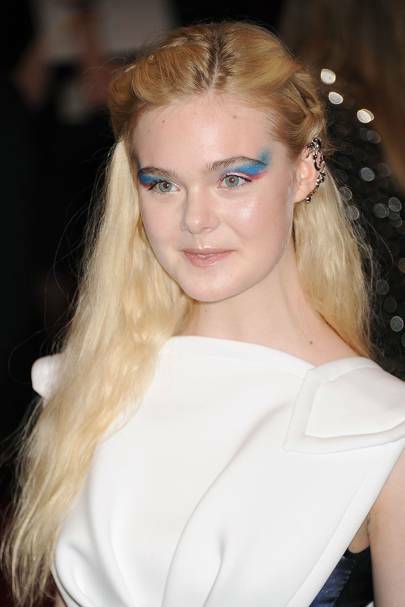 When we were Elle Fanning's age, we wore ear cuffs too - although they were far less chicer and only worn because we weren't allowed to get our ears pierced. 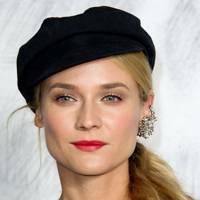 Even if you're not a fan of her experimental eyeshadow (we wore a lot worse at 15), you can't deny her ear cuff choice is pretty cool. Hold up, is this where it all began? 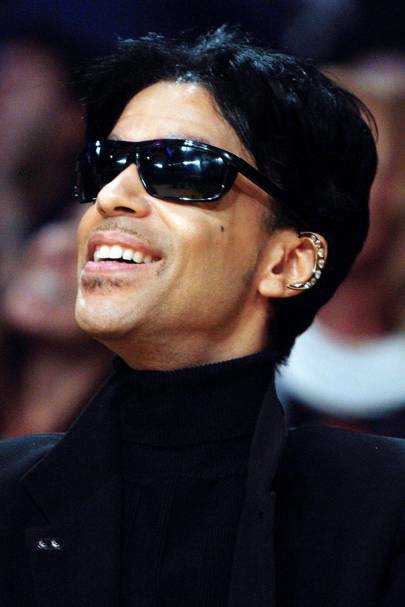 Prince was spied wearing an ear cuff (way similar to Rebecca Hall's, FYI) back in 2008! 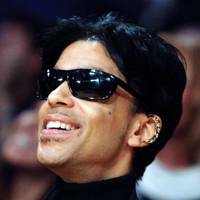 This picture confirms what we all knew: Prince is a legend and a trend trailblazer. And he wore an ear cuff to a BASKETBALL GAME.